Total Teamwork is guaranteed to energize, motivate and inspire your team! 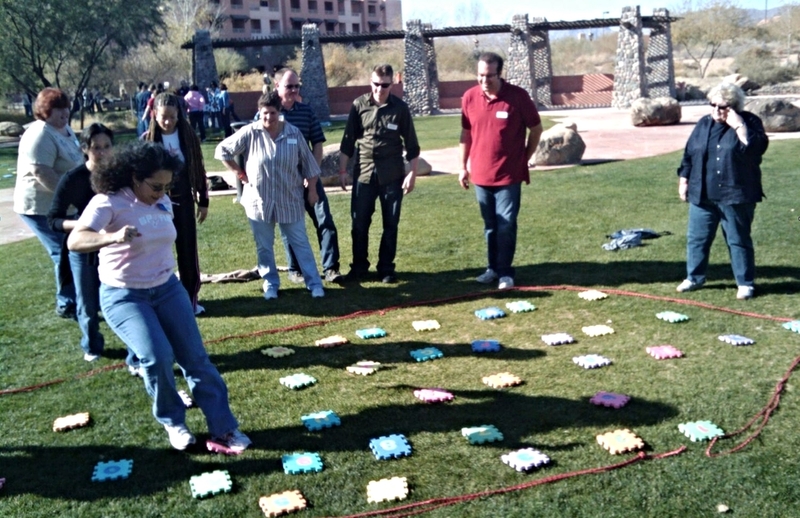 Fun, active team building games and challenges perfect for groups of all sizes. Discover What’s Possible for Your Team™ in this half- to full-day session of interactive team building games and challenges! Perfect for indoors or outdoors, Total Teamwork is guaranteed to energize, motivate and inspire your team. Total Teamwork is made up of a series of team building games and activities, each lasting 20 to 30 minutes. Team building activities in this program are specially chosen to engage the skills that make good teams great: teamwork, positive communication, leadership, trust, creative thinking and helping each other succeed. 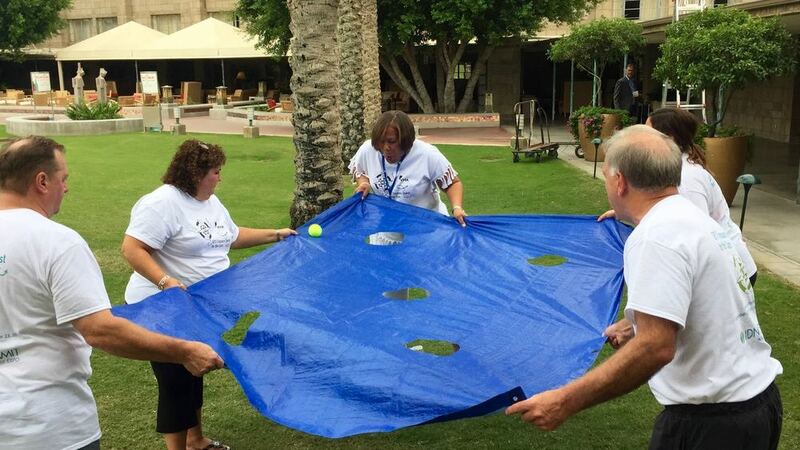 With a playlist of over 200 team building activities to choose from, we can customize your Total Teamwork session so it's a perfect fit for your team. Whether your goal is building relationships among team members, kicking off a team project, celebrating the completion of a project or helping the team discover positive ways to work through challenges together, we've got you covered! We split big groups into smaller teams so there’s a role for everyone to play. After key activities, your PossibiliTEAMS facilitator will lead short debrief discussions to help your team members connect the experience back to work. Total Teamwork is our most popular program and a great choice for groups of all sizes. Whether you want a program that’s just for fun or one that includes in-depth facilitator-led debriefing and discussion, Total Teamwork is sure to be a hit. Total Teamwork can be held indoors at your meeting place or workplace, or outdoors at any nearby city park or on the grounds of your hotel or conference center.